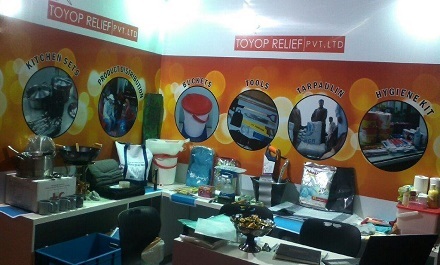 Established in 1994, as a proprietary concern, Toyop Relief Pvt Ltd. (TRPL) was incorporated in 2007. 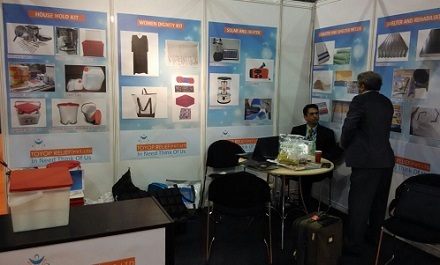 TRPL is one of the leading Merchant Exporters with vast experience in supply of relief materials with an annual turnover of approx. US $14 million with headquarters at Mumbai. As one of the top most suppliers to major International NGOs, namely UNHCR, UNICEF, IFRC, IOM, etc., we export a variety of goods to various countries worldwide and have stock points in Dubai, Panama and Kuala lumpur. We are capable of responding swiftly and effectively to our customers' needs of humanitarian aid to reduce misery caused by calamities. We have the logistical expertise and resources to deliver our kits whenever and wherever they are required. We provide the fastest and best connecting modes of delivery through sea, road and air depending upon the regional necessities. Toyop Relief Pvt Ltd follows the principle of Promotion, Protection & Integration of Social Accountability Values in the Company. We undertake to establish clearer understanding of ethics paving the way for fair business practices in procuring & delivering our merchandise. 2019 © Toyop Relief Pvt Ltd. ALL Rights Reserved.